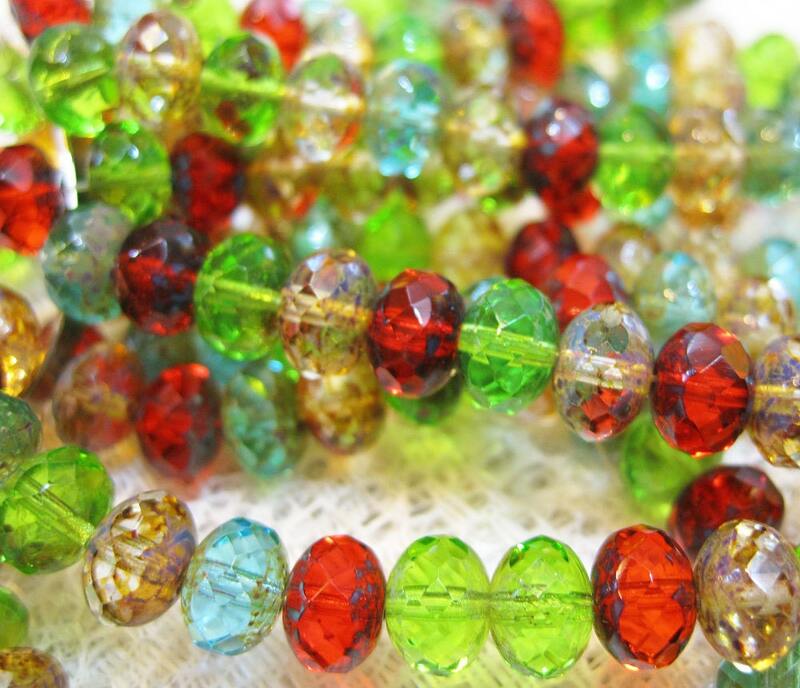 Transparent mix of peridot, aqua, red with picasso Czech pressed glass large faceted rondelle beads. These are 6 x 8 mm. There are 25 beads per strand.